Finding a lump in the breast, neck or pretty much anywhere else can be scary. While many turn out to be benign – meaning they aren’t cancer – the only way to know for sure is to get some tests done. Your primary care doctor may order some of them, but for others you need a specialist, such as Dr. Celina Nadelman, an FNA (Fine Needle Aspiration) doctor in Los Angeles. Many patients find their lumps during a routine breast self-exam or some other daily activity such as putting on make-up, taking a shower or shaving. Getting a diagnosis as quickly as possible is important, partly because the waiting is stressful and partly because if it is cancer, early treatment improves your odds. Once you’ve found that lump, the first thing to do is make an appointment with your doctor. Be sure you tell the office staff you’ve found a lump and you’re concerned that it might be cancer. Make some notes for your appointment. For example, do you know how long the lump has been there? Is it hard or soft? Does it move when you push on it? Is it painful? Do you have any other symptoms, such as fatigue, pain, voice changes or lack of appetite? Have you ever had similar symptoms? Do you have other similar lumps? Try to find out if you have a family history of cancer, especially among close relatives. Women who find a breast lump should also note where they are in the menstrual cycle. At the same time, start writing down all the questions you can think of that you might want to ask your doctor. Depending on the location of the lump, you might need a mammogram, an ultrasound or other diagnostic tests or lab work. A fine needle aspiration (FNA) is another way to get information about lumps. This diagnostic technique can be performed by many doctors. However, a cytopathologist is a doctor who specializes in diagnosing cancer and other diseases by examining cells under a microscope. 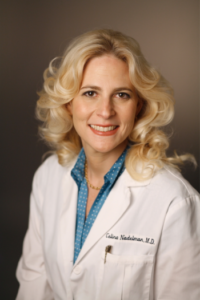 Dr. Celina Nadelman is one such doctor, as she is a board certified cytopathologist. An FNA is a quick way to obtain tissue to see if it is cancer or not. It’s an office-based procedure – general anesthesia not required – and the results are usually available within 24-48 hours. An FNA is also less invasive and less expensive than a procedure like an open biopsy. The most important thing you can do if you find a lump is to act quickly. If it is cancer, delay gives the tumor time to grow and spread. Please ask your doctor for a referral or contact us for an assessment.